ageLOC LumiSpa Accent and ageLOC LumiSpa IdealEyes were inspired by the multi-functionality and the patented Micropulse Oscillation technology of ageLOC LumiSpa paired with the treatment cleansers. The ageLOC LumiSpa Accent tip, made from the gentlest silicone available, has a unique topography with offset peaks and troughs and oscillates back and forth to precisely move skin without overstimulating it. Like ageLOC LumiSpa treatment heads, the ageLOC LumiSpa Accent tip is also designed to gently exfoliate skin and is embedded with anti-microbial silver, which is more hygienic than other topical devices used on skin. 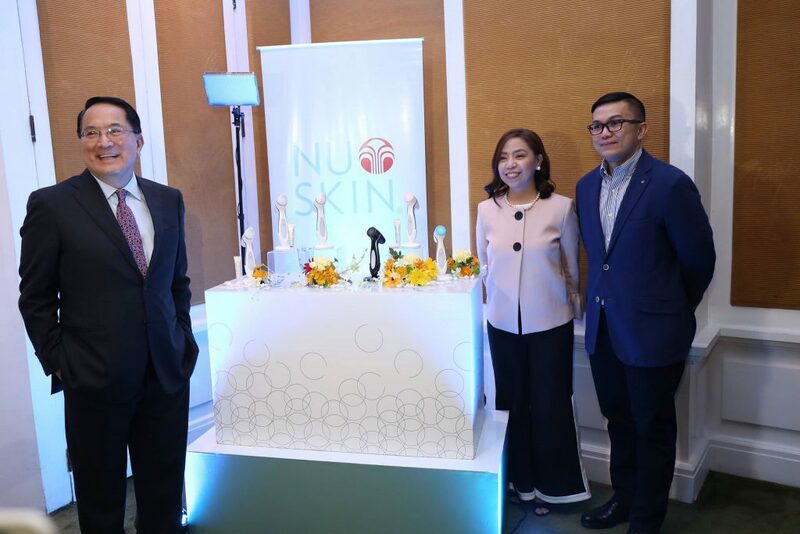 Nu Skin conducted several preliminary studies that revealed that individuals who used the ageLOC LumiSpa Accent product pairing experienced improvements in the reduced appearance of puffiness, eye bags, fine lines, and wrinkles. Silicone Treatment Head: ageLOC LumiSpa Accent features one treatment head made of the softest silicone available and is embedded with anti-microbial silver.